John Simpson is what one would call a master printmaker. He creates incredibly detailed work that examines Man's complex relationship with the natural world. 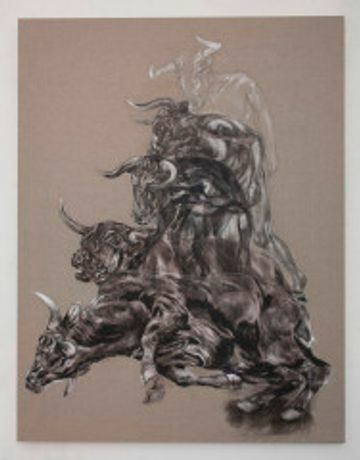 He draws upon classical mythology and folktales with a draughtsmanship of the highest level. His work is striking, unsettling even. John exhibits a proficiency rarely seen these days within a framework of references that have been the canon and source material for many great artists. The title of this exhibition, âDream and Metaphmorphosis' relates directly to Ovid's epic poem, whose first line gives the reader the basis for the work - In nova fert animus mutatas dicere formas/ corpora; (I intend to speak of forms changed into new entities"). We are in the realm of transfiguration, where people and things are in a state of flux and change. The âdream' aspect may refer to childhood fantasy and even unconscious desires.